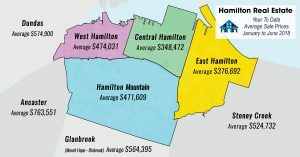 Hamilton Real Estate 2018 June Market Report: As reported by RAHB (Realtors Association of Hamilton-Burlington) CEO George O’Neill, “Sales and listings are down from last year, but they’re being compared to a year impacted by government regulations. The regular spring market pattern has returned this year.” Sales were 14.2% lower than June of last year and 19.2% lower than the 10-year average. 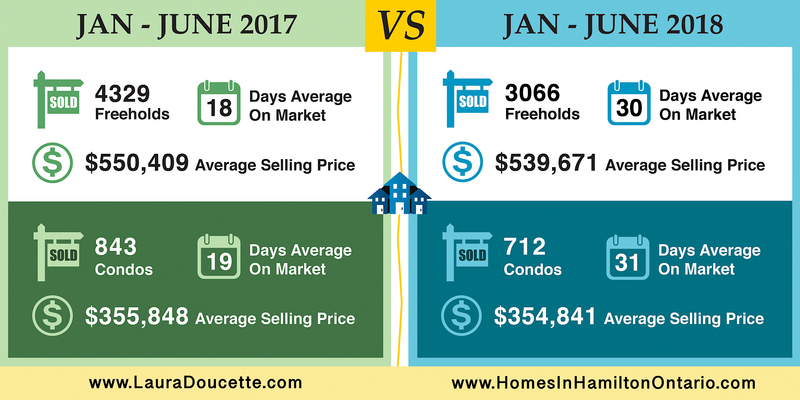 Residential Only Listings for June 2018 were 2095, Sales were 1218, with an Average Sale Price of $548,300, selling taking on average 29 days on the market, compared to June 2017 with 2597 Listings, 1412 Sales with an Average Sale Price of $562,259 only taking on average 18 days on the market. If you are thinking of selling your house anytime in the next year, it would be wise to meet up soon so we can discuss a Selling Strategy for YOUR home that would get you the most money possible. You can also order this Free Book to help you figure out what you can do right now to help you sell your home Fast!…www.FreeHowToSellYourHouseFastBook.com. It is also a good idea to start getting educated about what homes are selling for in your particular neighbourhood.